The world of vampires is very similar to the world of newspapers. In the past decade, both have experienced dramatic changes. Vampires were once violent and feared creatures, but thanks to the ‘Twilight’ series they’ve become big cuddly diamonds. Newspapers were once a place where advertisers would invest all their money, and where all the big news stories broke. Now, newspapers are being eclipsed by new media, and the advertisers are spending their money elsewhere. Vampires and newspapers just aren’t what they used to be, and ‘Page One: Inside the New York Times’ takes a look behind the scenes of a great newspaper struggling to keep its head above water. 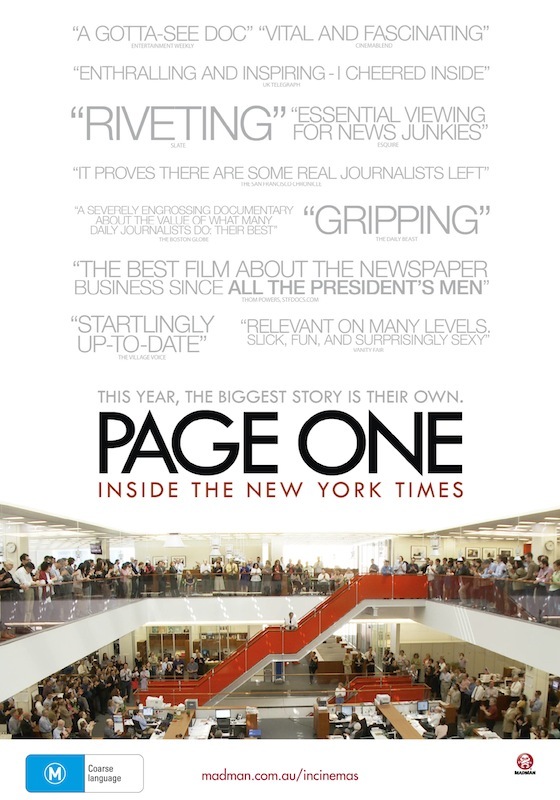 In ‘Page One’ director Andrew Rossi follows a team of journalists at the New York Times who work on the media desk. During the course of the documentary, Rossi interviews media experts and commentators, who all weigh in on the debate of whether the New York Times can survive financially, especially when more newspapers are being closed down every day. The access Rossi gets is first class, and it’s a joy to see how stories go from a scrambled word document to the printing press at the New York Times. It’s never made clear how the newspaper operates on a daily basis, but you get a feeling of excitement seeing hundreds of workers busily typing, and running in and out of offices. However, Rossi has problems keeping his documentary on track and it becomes scattered. He tries to cover too many issues and it’s like watching a circus act where the clown tries to keep all the plates spinning. 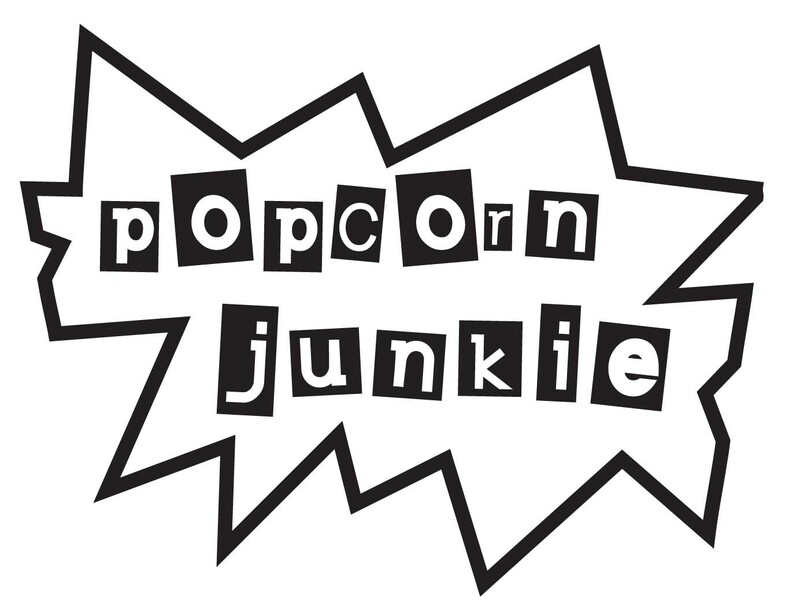 Media savvy filmgoers will enjoy it, but those out of the loop may find it a yawn, as it fails to make any clear points or achieve any goals. It’s a fly on the wall journey in a straight line from point ‘A’ to point ‘B’. The headliner of ‘Page One’ is David Carr, a recovering drug addict turned journalist. Throughout the film, media experts predict the death of the New York Times, which starts to become irritating. It seems everyone is happy to see newspapers die, but no one wants to offer any solutions. Carr stands as a heroic voice that champions the industry he loves so much. He is like a pirate, fighting every naysayer until the ship sinks. He proves his point when he puts his investigative skills to the test and produces a piece about a newspaper deal that goes badly. Carr is an inspiration and proves that it’s never too late to follow your dreams and to never back down in the face of adversity. I found the documentary would have been more interesting if it was more about Carr than the New York Times. ‘Page One’ does a good job of analysing the new media landscape and how social networking sites like Twitter and the internet have put a huge hole in the newspaper business. Newspapers were once the gatekeepers of news, but websites like Wikileaks and bloggers around the world have leapfrogged the mainstream media. It’s a double edged sword, because journalists have a moral obligation to tell the truth, while citizen journalists can push an agenda. They don’t always seem to play by the rules, which results in a woeful definition of what is considered news. ‘Page One’ is heaven for anyone who has worked in a newspaper, or has a love affair with the media. Overall, as a documentary, though, it gets lost in a maze of facts and experts before emerging triumphant as a decent snapshot of the brave new world of media.